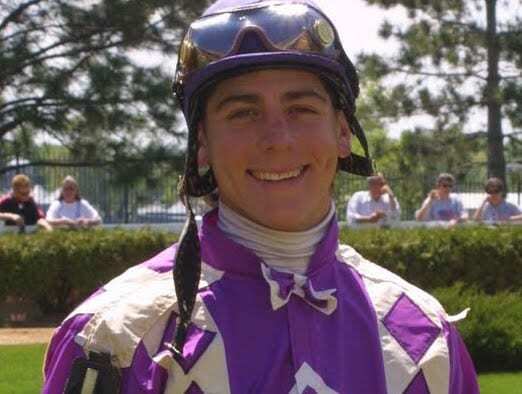 Stewards at Canterbury Park in Minnesota have rescinded the license of jockey Seth Martinez for the balance of the 2016 race meeting that ends Sept. 17 after Martinez received his 10th and 11th violations of the three-strike whip rule since the Minnesota track's season began May 20. The ruling, issued July 31, was for two violations in Quarter horse races July 24 when Martinez rode Heza Prospect and Macoutah to victories in trials for the North Central Quarter Horse Association Futurity. In each instance, Martinez appeared to strike his mount three times, then wait for a response before striking them again. When he went to the whip again, he appeared to strike his mount four or five times. Heza Prospect came back to win the Futurity finals on Saturday under jockey Berkley Packer. According to Equibase, Martinez has had 48 mounts during the Canterbury Park meet (19 aboard Thoroughbreds and 29 in Quarter Horse races). He's won three Thoroughbred races and five Quarter horse races. Martinez has 2,174 riding victories in Thoroughbred races dating back to 1995. He began riding Quarter horses in 2002. In a statement on the enforcement of whip rules issued to industry stakeholders at the time the ruling was distributed, Minnesota Racing Commission executive director Tom DiPasquale said: “Repeated and blatant violations of the whip rule demonstrates a disregard for the welfare of horses; undermines the authority of the Board of Stewards; and harms the integrity and public image of horse racing. Fifty-nine whip infractions have been issued during the meet. Martinez is eligible for licensing as an exercise rider. This entry was posted in The Biz and tagged canterbury park, Horse Racing, Minnesota racing commission, riding crops, seth martinez, Tom DiPasquale, whip rules by Paulick Report Staff. Bookmark the permalink.